A delicate infusion of certified organic rosehip oil, organic shea butter, jojoba oil and oat extract to soothe, nourish and comfort sensitive scalps. 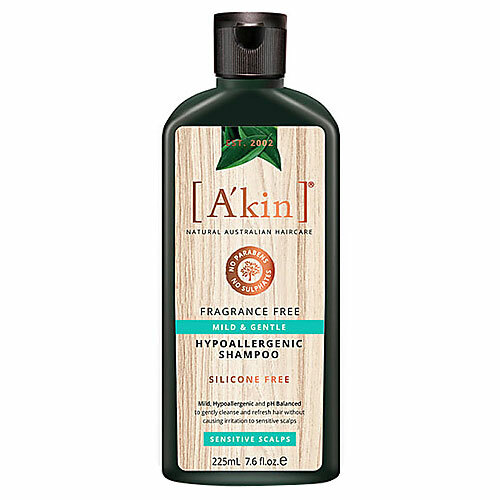 Clinically proven to reduce scalp discomfort and flaking caused by dryness. 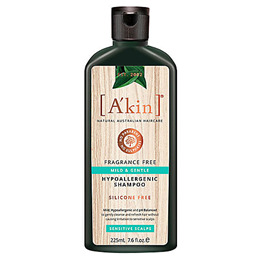 After using Akin Mild & Gentle Fragrance Free Shampoo for sensitive scalps, massage conditioner gently into the scalp & hair. Leave for 1-2 minutes & rinse thoroughly. Below are reviews of A kin Mild & Gentle Fragrance Free Conditioner - 225ml by bodykind customers. If you have tried this product we'd love to hear what you think so please leave a review.